Melissa Glouchkova has been teaching ballet for the past 23 years. Her teaching experience includes Corpus Christi Concert Ballet, Ballet Academy, Texas Ballet Concerto, Tapestry Dance Company and Academy where she was a company member for 10 years, Rodnichok Vorkuta, Russia (guest teacher) and currently at Metamorphosis Dance Academy and Premiere Dance Academy. Melissa began her classical training under Nancy Sulik and has studied under master teachers at many different companies including Ballet West, Houston Ballet, Compania Nacional de Danza Classica, Mexico, and the Joffrey School of Ballet, New York as well as received many scholarships to prominent schools such as The National Ballet School, Canada, and Academie de Danse Princesse Grace, Monaco. Mrs. Glouchkova has performed in numerous ballets including Sugar Plum and all Act II variations in The Nutcracker, Raymonda Pas de Dix, Act I Pas de Trois and Neopolitan Princess in Swan Lake, The Red Shoes, and Bluebird Pas de Deux in Sleeping Beauty. She holds a B.A. 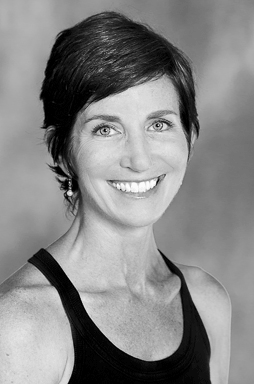 in Interior Design, is a certified Pilates instructor at Castle Hill Fitness where she has taught for the past eleven years, is a certified Cecchetti instructor, as well as a Secondary Dance Ed. teacher, teaching for Westwood High School’s Fine Arts Academy in the Round Rock I.S.D. “Mrs. Glouchkova is passionate about dance – its history, technique, and artistry. She wants to give her students confidence, knowledge and above all else, love for this beautiful art form.